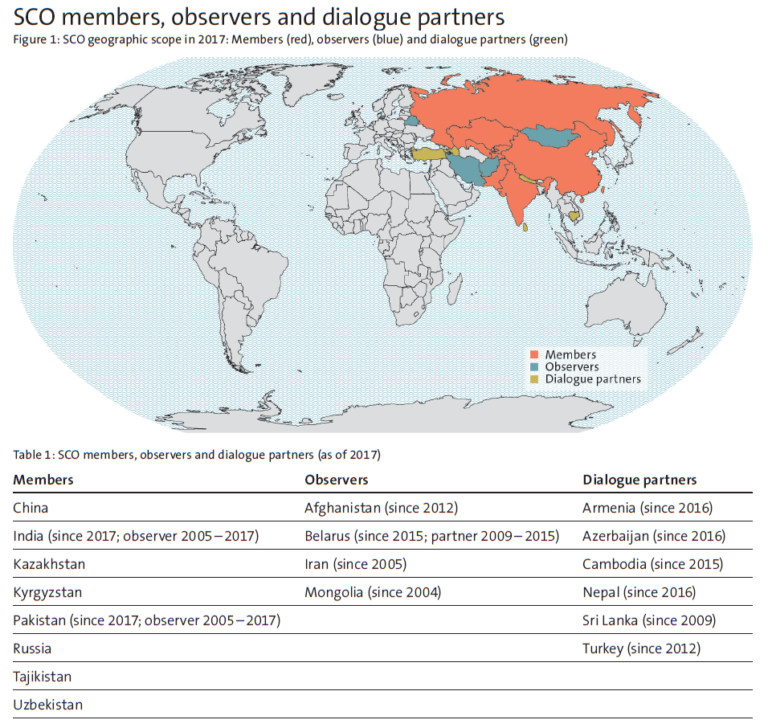 This graphic provides an overview of the Shanghai Cooperation Organisation’s (SCO) members, observers and dialogue partners. For more on the SCO, including how Europe and Switzerland could engage with the organization, see Linda Maduz’s new comprehensive study Flexibility by Design. For more CSS charts, maps and graphics, click here. Click image to enlarge.